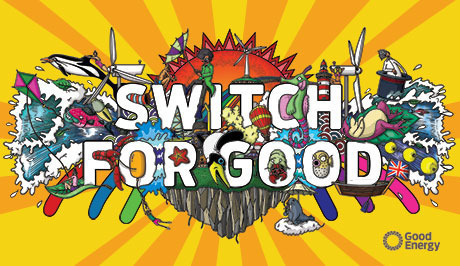 TTT partnership with Good Energy - switch and get 25 Totnes pounds! We’re proud to be in partnership with Good Energy, a green electricity company that uses the amazing power of British sun, wind and water to replace every bit of electricity you use in your home over the course of a year. They’re developing new sources of green energy around Britain and support over 59,000 homes, businesses and communities generating their own green electricity. Plus, they’ve been voted top of the Which? customer satisfaction survey for energy suppliers three years running, so you can be sure you’re getting top notch service. Switch to Good Energy quoting Transition Town Totnes and support green energy in the UK. You will receive 25 Totnes Pounds ("t£25") and Good Energy will also give us £25 on your behalf to support our work. Your t£25 can be claimed from TTT on receipt of your first quarterly bill - please contact us to arrange collection of your t£25.